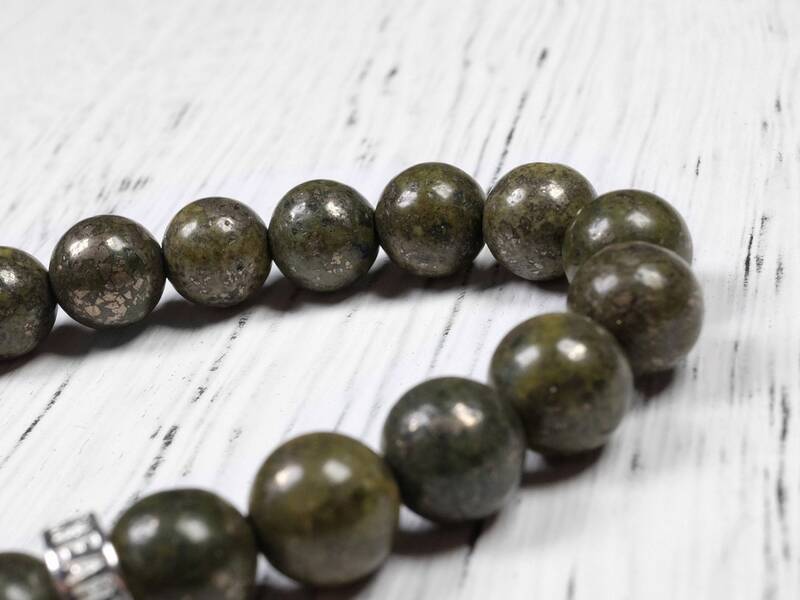 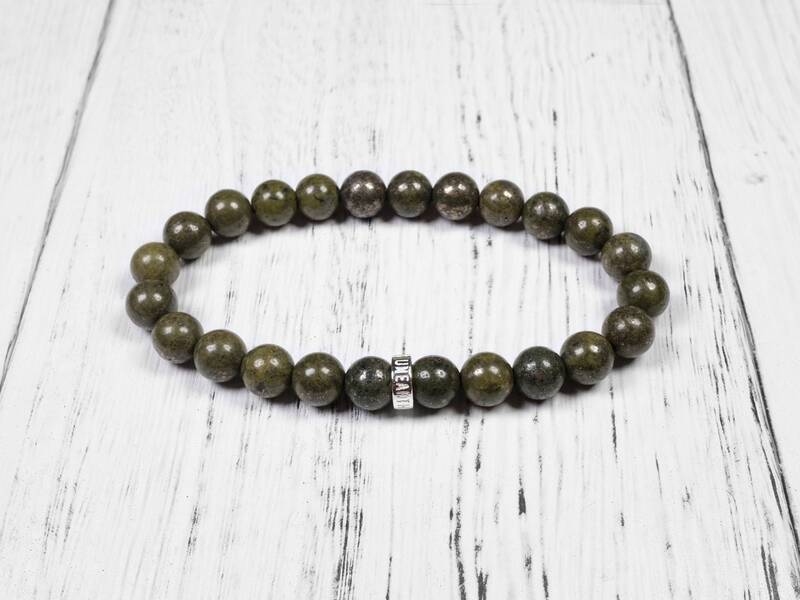 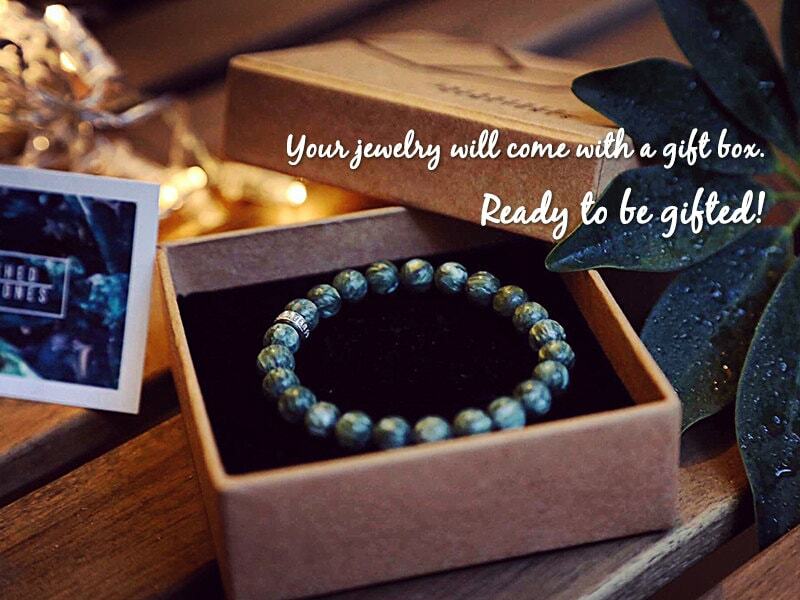 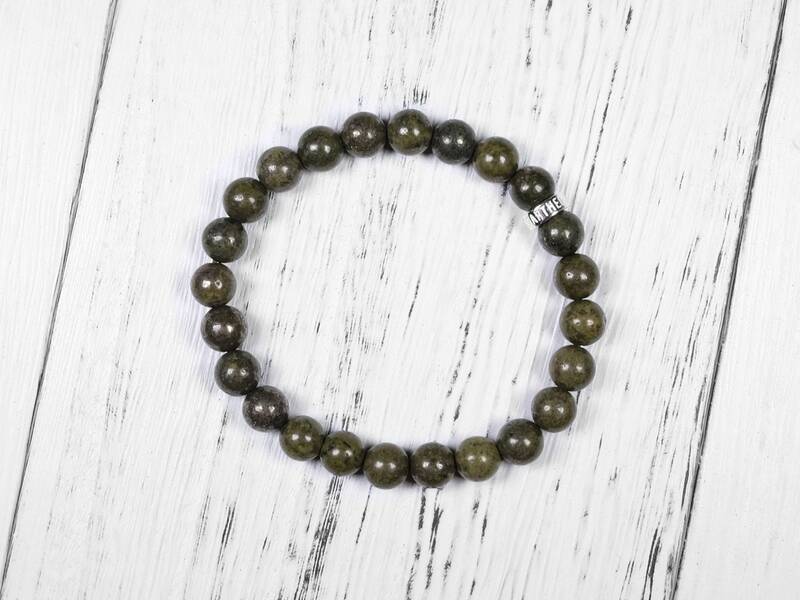 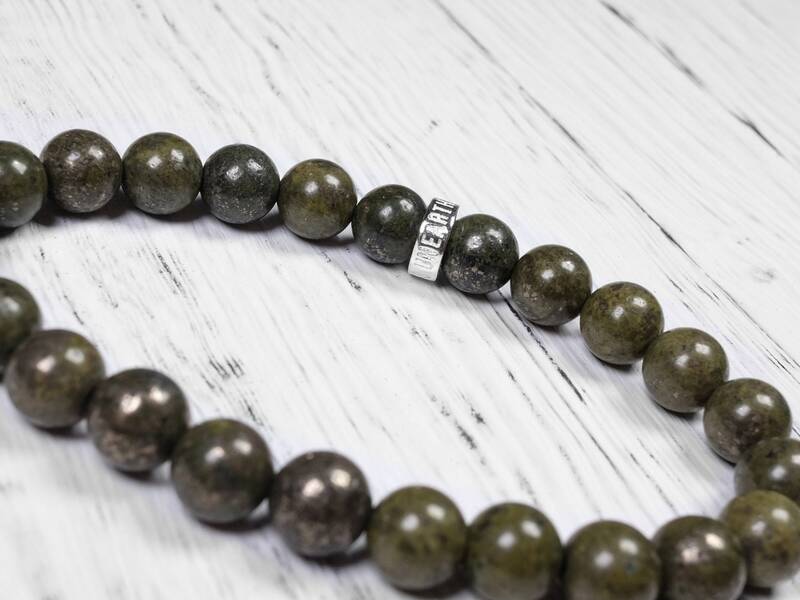 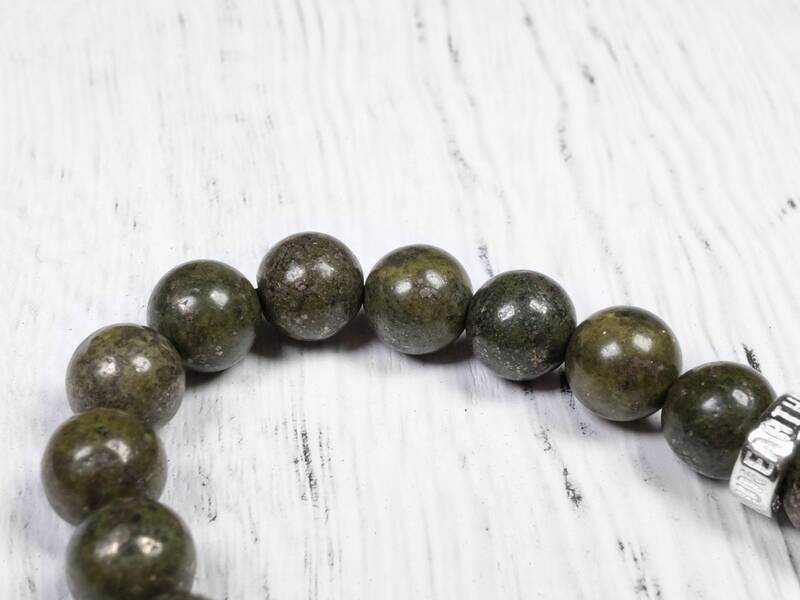 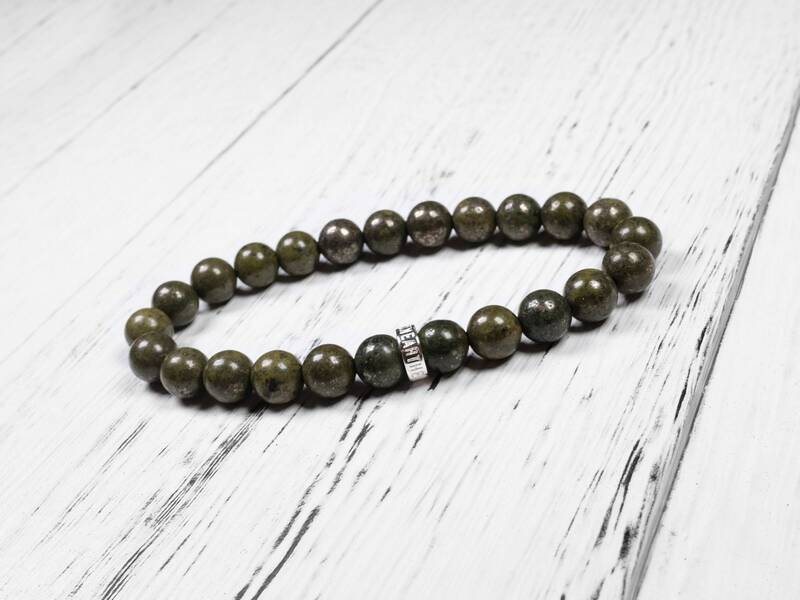 This bracelet uses a natural and genuine epidote, which is a dark green mineral. 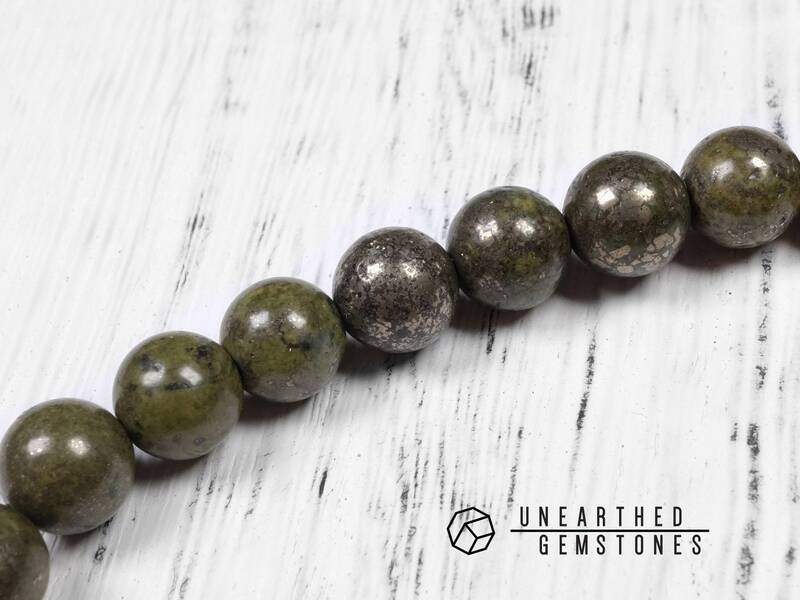 This particular one is grown with pyrite, as you can see the metallic parts in the beads. 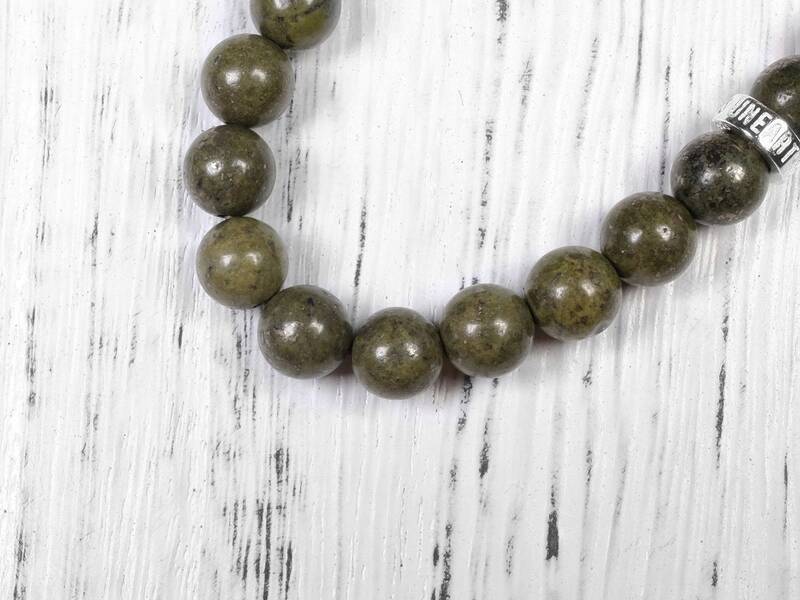 Very interesting combination and not a gemstone you'd see often. 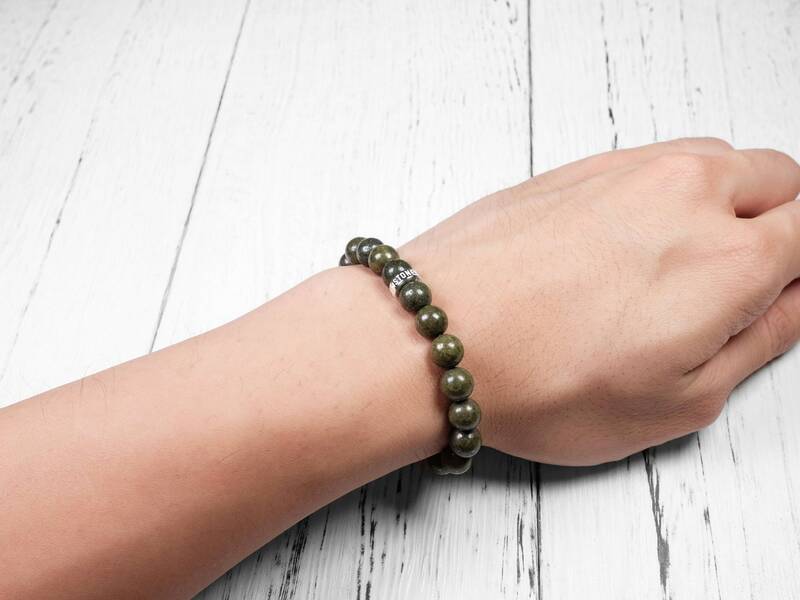 The bracelet is contrasted with the Unearthed Gemstones sterling silver bead for a modern take on this special gemstone.